A plastic bottle trapped on a coral reef. Plastic litter in a fishing village in Myanmar. 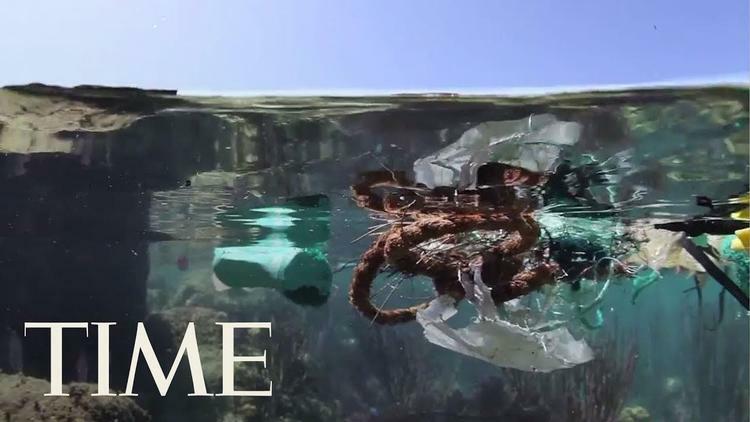 The number of plastic items entangled on the reefs varied immensely among the different regions we surveyed – with the lowest levels found in Australia and the highest in Indonesia. Plastic debris floating over corals.